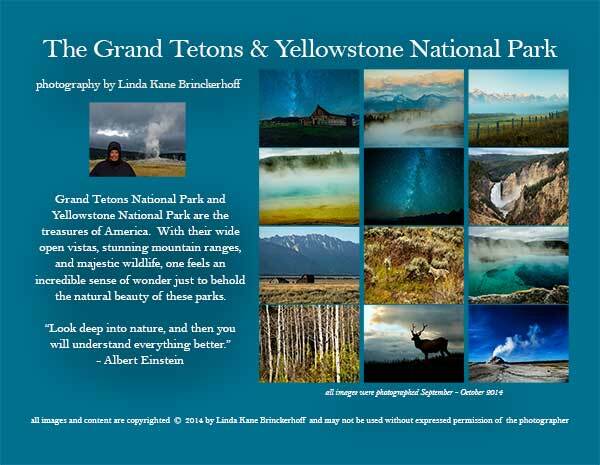 Grand Tetons National Park and Yellowstone National Park are the treasures of America. 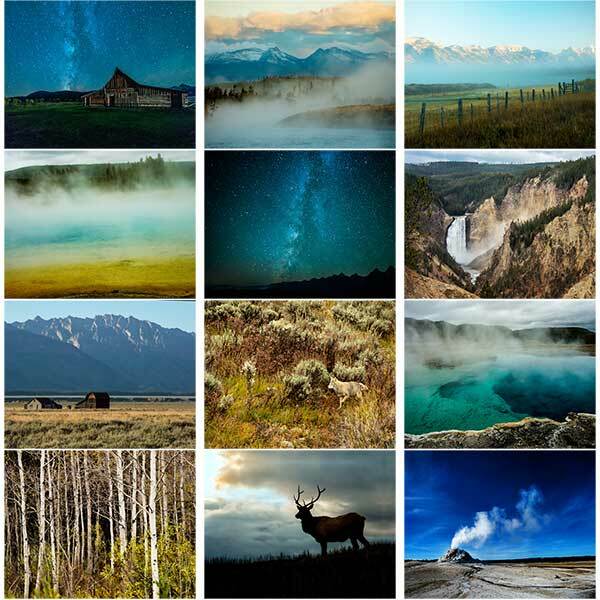 With their wide open vistas, stunning mountain ranges, and majestic wildlife, one feels an incredible sense of wonder just to behold the natural beauty of these parks. 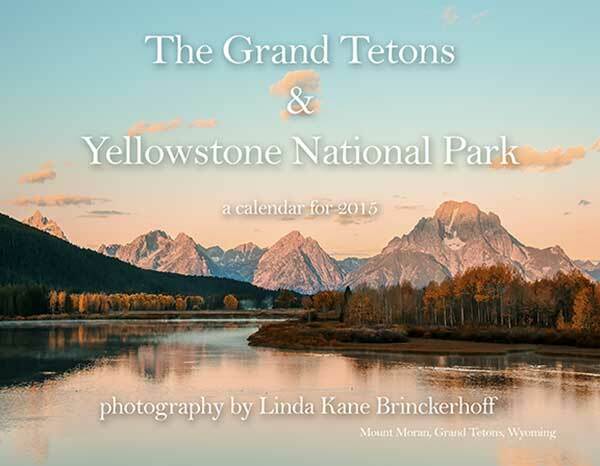 The beauty and spirit of America's favorite national parks as photographed by Linda Kane Brinckerhoff in September and October 2014. A perfect gift for lovers of nature and wildlife. Large squares for recording appointments and events. Heavy 100# card-stock. 8.5 x 11 closed; 11 x 17 open.